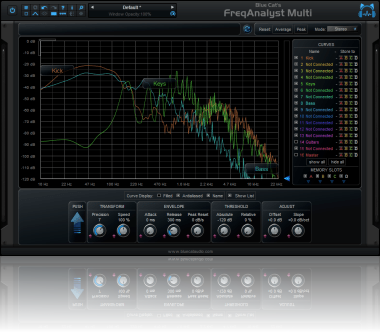 "A unique multi-track spectral analysis tool for mixing or mastering." 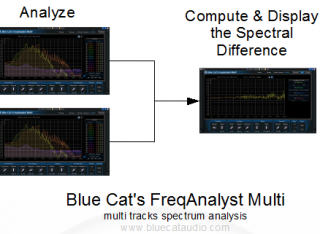 If you are looking for a single track spectrum analyzer with a spectrogram view and audio to MIDI capabilities, check our Blue Cat's FreqAnalyst Pro plug-in. 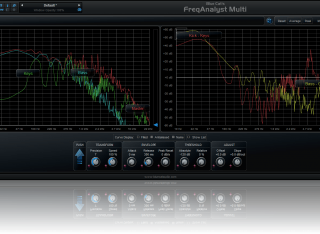 Typical applications: frequency overlap detection, EQ matching, frequency response measurement, spectral balance measurement. Three instances of the plug-in per session. The plug-in is frozen for a few seconds every 40 seconds. Save each memory curve as a file that can be reloaded later as a reference. Copy and paste memory curves between instances using the system clipboard. Fixed demo version popup window freezing Pro Tools in some situations. Factory and user skins can now be selected directly from the plug-in menu. Pushing all parameters to other instances does not push the stereo configuration anymore. 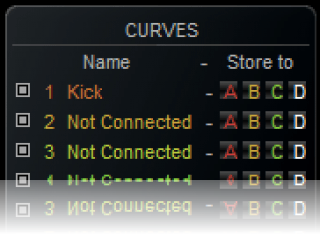 Curves names can now be displayed on the graph (overlay). Single or multiple displays modes. All instances can now be forced to synchronize. Improved note display (now uses a +/-50 value for cents). Improved Graph rulers display when zoomed. 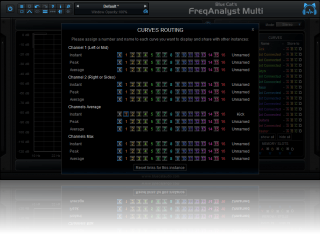 Routing matrix automatically displayed when opening the plug-in for the first time for easier setup. New presets to make setup easier. Output data rate can now be customized, from 20 to 500 Hz. Increased the default output data rate (from 20 to 50 Hz) for smoother spectrum display. 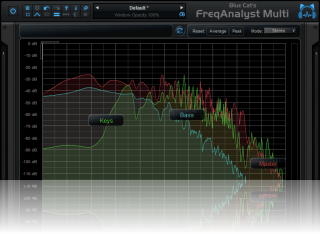 Note value for the current mouse location is now displayed, in addition to the frequency. Windows: improved settings dialog loading time. Mac: user interface performance improvement (up to 30% lighter on cpu). 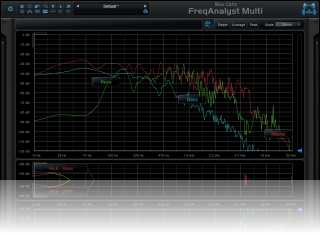 Difference curves can now be saved for easier comparisons and stereo spread matching tasks. Controls visibility is now persistent. Fixed incompatibility issues with older presets in the previous version. Analysis parameters can now be pushed from one instance to others to simplify the workflow. 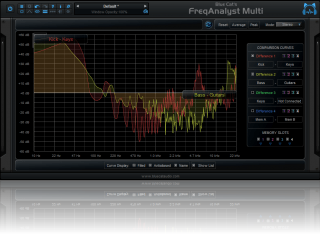 Controls can be collapsed to reduce the size of the user interface and focus on the analysis. Drag the rulers to move the curve when zoomed (can keep measurement/selection mode and still drag the curves). Improved synchronization of curves within a single instance. 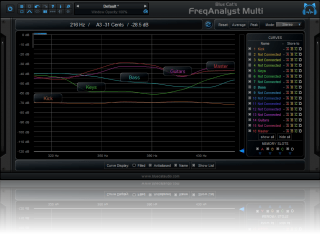 Improved user interface performance and increased graphs display refresh rate. Improved signal processing performance (up to twice faster on some systems!). The plug-in now requires a processor supporting SSE2. Fixed a crash on Mac and 64-bit Windows that randomly occured when opening and closing the user interface multiple times. Mac: fixed crash with demo version in Ableton Live 8.1.1. New Windows Installer (you should uninstall any previous version before installing this new one). Now available for Mac in VST format. (Bug fix): keyboard shortcuts are no longer forwarded to host application when entering the names of the curves in edit boxes. New diff view to compute and visualize the difference between several spectra. 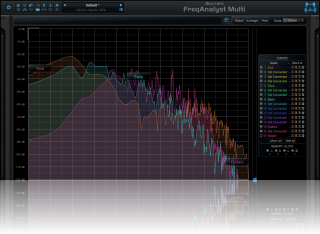 Graphics rendering has been improved for smoother analysis curves display in some hosts (such as Cubase). Minor user interface changes (fonts, layout). Fixed a crash on certain configurations while opening the global settings window. Settings window is now faster to open. User can now define a name for each curve which is displayed in the main view. Non connected curves are now easy to identify. 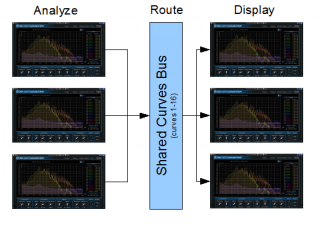 Improved display refresh rate: analysis is now even smoother! New "zoom by selection" feature. 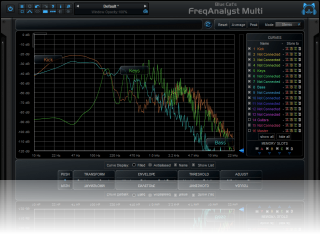 Spectrum analysis normalization improvement: absolute values comparison with different precision settings is now more accurate.